As a green gardener AND an animal lover, I thought I would pass along this information about Star Gazing Farm's Manure Days for Gardeners. Star Gazing Farm is a small farm animal sanctuary in Western Montgomery County that provides safe haven to abused, stray, and neglected farm animals. They offer educational programs and community service opportunities to young people. They also offer some great, locally produced manure, of the goat, sheep, horse and cow variety. As you know, manure is a great addition to a compost pile. And Star Gazing Farm doesn't use any chemicals or pesticides on their property. All animals are free range, and their primary diet is orchard grass and timothy hay. Taking your kids to a farm is a great way to spend a fall afternoon and letting them visit the animals allows you to teach them the important lesson about the value of natural fertilizer in a garden. So why not take a trip to Star Gazing Farm in Boyds on either the 15th or the 29th? And before you make the trip, take a look at Star Gazing Farm's wish list to see if you have any of the items they need to help take care of the animals. Come and pick up buckets, bags, or pickup trucks full of composted manure from our sanctuary farm animals. Well-rotted manure is available from Star Gazing Farm in Boyds, Maryland, and your donation will help to provide shelter for injured, abused and abandoned farm animals. Anne Schroeder, the owner, will be pleased to tell you about the farm and introduce you to the animals during your visit. Feedback from people who have used the compost is AWESOME - like "my tomatoes grew to one and a half times the normal size" and "my flowers are towering high". •We invite you to come and take as much as you want, as many loads as you want. • There's no set price for this manure except a donation to the farm. Star Gazing Farm is a non profit 501(c)3 organization, and contributions are tax deductible. http://www.stargazingfarm.org/. Your donation will be profoundly appreciated! You might try a donation approximating what you'd pay at Home Depot or Behnkes for well-rotted manure. - The green stuff. SMOKIN'! If you need hot manure to get your own compost pile cooking fast, we have A LOT of this. - Composted manure, multi-variety: this has been composting over the summer and since last year. It is pretty much ready to go, but there are still bits of undecomposed hay so it could stand to be worked into the soil. This contains manure from goats, sheep, horses, and a variety of fowl, plus straw and hay. - Uncomposted manure, bovine-variety: straight from the cows. Just picked up from the fields, mixed with hay: great additives to your existing compost piles. 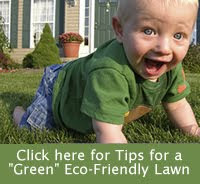 Note: we are not "organic", but we do not use pesticides or any kind of chemicals on the property. Please drive slowly up the driveway, as the animals are free to wander. Go up the left side of the house, and drive up straight into the pasture. For large loads, if you can't make it that day, please contact us regarding other arrangements for pickup.